Textile Lubricants that we offer. Designed specifically for use on modern, high-speed knitting machines. These oils provide excellent protection for needles, needle cams, needle cylinders dials, sinkers, and sinker rings. MorKnit 3000, 5000 and 8000 series products also contain effective emulsifier system to aid in removing knitting oil from greige goods prior to dyeing/finishing. MorKnit 1500 Series – most popular hosiery knitting oil series. Non-staining, in use on tens of thousands of knitting machines. MorKnit 1600 Series – One of two products to perform well on the Reichert test. Only product currently available in the US to do so. FlatKnit – Designed specifically for flat or warp knit machines. Provides excellent protection for moving parts without forming deposits that can inhibit needle movement. MorKnit 5000 series – can have a wide range of surfactant levels and viscosities. Most common are MorKnit 5274 or MorKnit 5277. MorKnit 3000 Series – The primary difference from MK5000 is the anti-wear system. The 3000 series contains zinc, the 5000 series does not. In some machines zinc provides superior AW, but can be a problem in effluent streams after being removed from greige fabric. MorKnit 8000 Series – The 8000 Series is formulated to allow scouring with a wider, and generally higher, scouring temperature range than MorKnit 5000 or 3000 series oils. 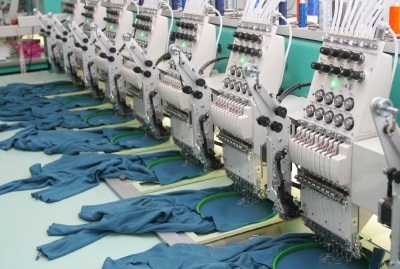 SM Oils – These are low cost, light yellow oils that provide adequate protection for sewing machines and can be used where oil on the finished product is not an issue. SM 1000 Series – These are premium grade products using hydroprocessed base fluids. SM 1032 is approved by Union Special; approval letter available upon request. SynSew Series – Similar to the 1000 series except blended from synthetic base fluid. Excellent response from customers in Central America. More than doubled lubricant life. While petroleum based oils darken and take on a characteristic “burned” odor from oxidation, SynSew remains clear and stable throughout the extended change cycle. Shear Oil 1000 Series – Blended from best quality hydrotreated base fluids; water-clear, better AW than typical shear oil on market increases interim between regrinding shear blades.